I am at a loss for words when it comes to this Etsy store Sic Chic Creations. It's like a convenience store that specializes in creepy items. If you haven't found your perfect kind of disturbing decorations, masks, dolls, etc check out Sic Chic Creations. 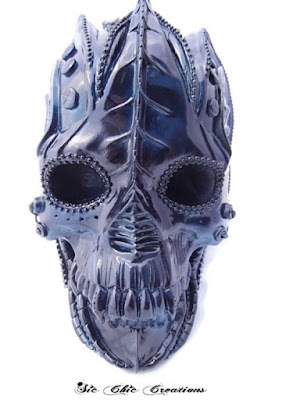 My mouth instantly dropped when I saw this alien skull decoration. I haven't seen anything this cool and original! If you thought the shape and design was cool, then you're going to be amazed by this - the paint changes colors in different lighting! 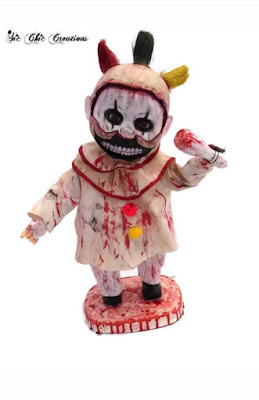 This animated clown doll is seriously going to haunt my dreams. This doll can actually be plugged in and come to life. I'm personally not okay with this. I know plenty of you would love to have a scary clown doll eagerly waiting to frighten your guests. We went from cool to creepy, and now to stunning! 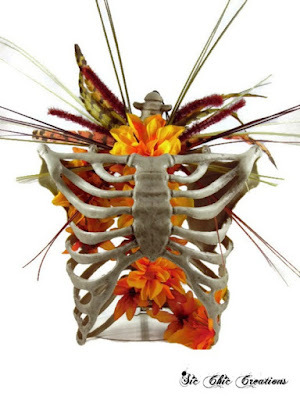 This floral rib cage arrangement is great for a more elegantly macabre gathering. I love the colors of the flowers, because of all the orange hues. You can actually feel the emotions that went into this painting. 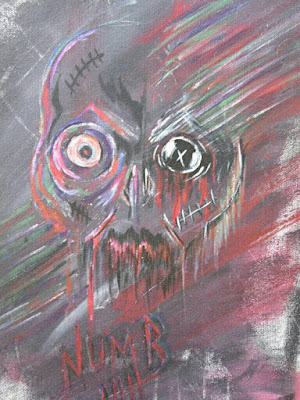 The EVIL painting portrays a malevolent force. It's like a combination of envy, anger, and pain together. It's oddly colorful, which is a bit unsettling. It's like an explosion of energy all over a canvas. 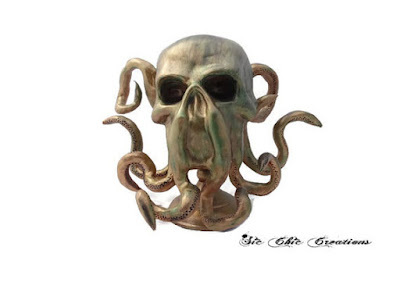 I totally love this steampunk octopus skull for decorating! 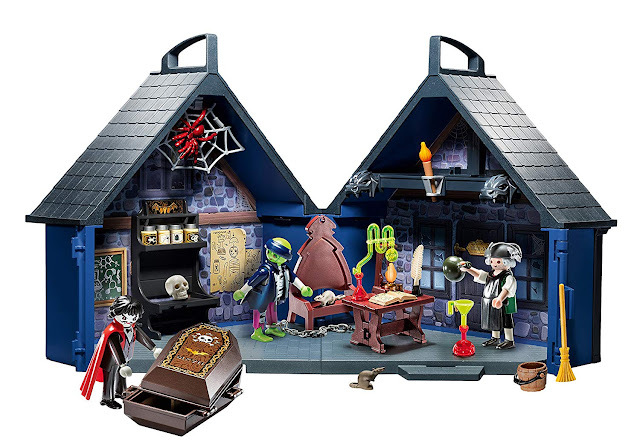 It would be fun to have a grisly nautical party. I don't think I've even seen anything like that before. People can dress up as their favorite ghastly water creature. This is an interesting and fun doll. 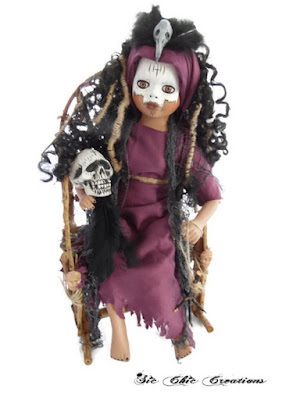 The porcelain voodoo doll would be a nice start to a freaky doll collection. The face paint and tattoos are really awesome, I can't imagine the detail that must have went into making this menacing figure. 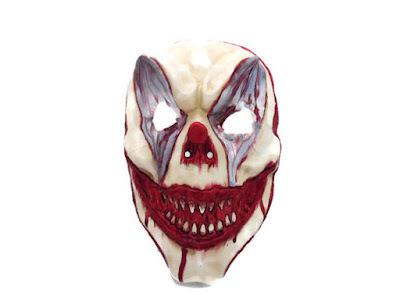 I can guarantee your costume is no where near as scary as this clown mask. In fact, you don't need to buy anything but this mask, because it's frightening by itself. I'm sorry, but scary clowns are extra horrifying! This could potentially be a great way to scare trick or treaters. 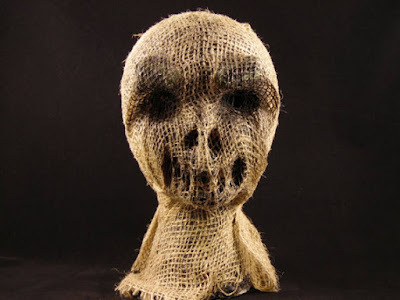 Use this burlap head decoration as a scarecrow in your yard. 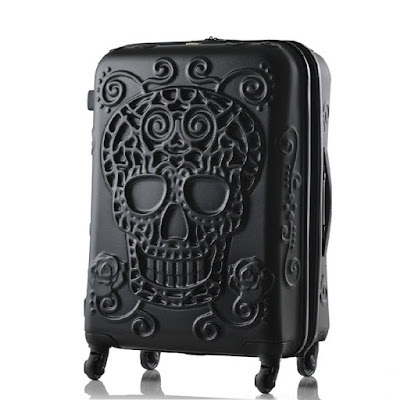 You could frighten so many people with this if you do it right! It's pretty sinister on it's own, too. It's nice to have a one stop shop of disturbing and bizarre items! Especially for this time of year. Check out the other crazy items by Sic Chic Creations on Etsy. Does anything appeal to you? Comment below!